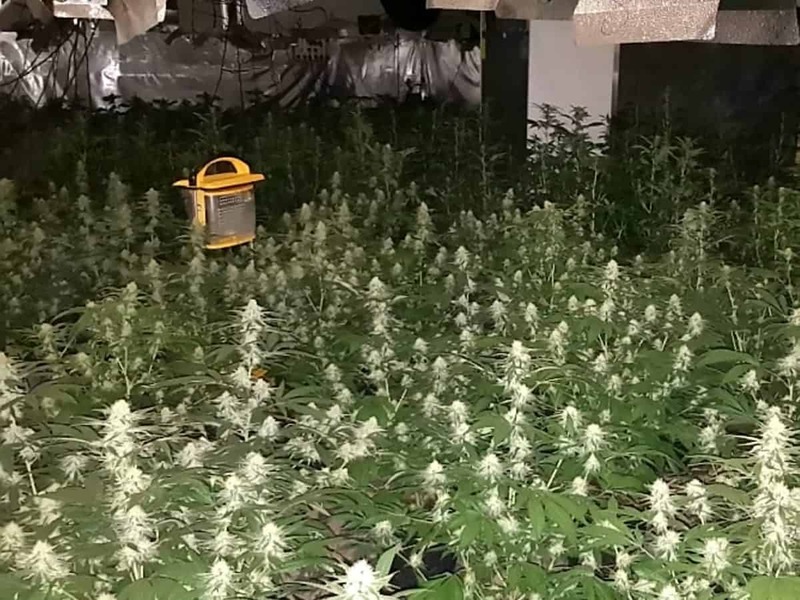 Police raided an old ice cream shop and found it had been turned into a drugs factory – filled with hundreds of cannabis plants. Detectives have launched an investigation after the drugs factory was discovered inside the former ‘gelato shop’ yesterday (Tues). Workers in the area called police after becoming suspicious about the Affogato Cafe in Crawley, West Sussex. When police prized the door open, they were confronted with the ‘mass cultivation’ of tightly packed plants. The entire site had been converted into a factory, complete with generators and walls coated with reflective material. A spokesman for Sussex Police said: “An investigation was launched following the discovery of a cannabis factory in Crawley. “A substantial number of cannabis plants have been seized from Affogato Cafe, which is an unoccupied premises in The Broadway. “Police attended the scene following a tip-off from a worker in the area on Tuesday afternoon, March 26.